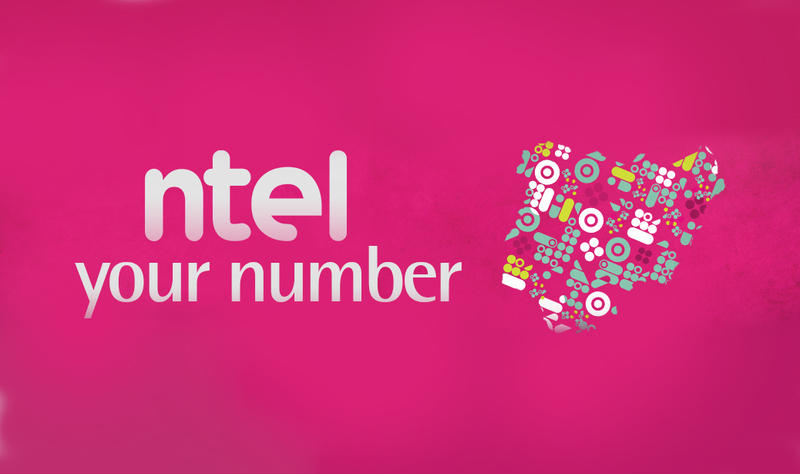 I am sure you know that Nitel has been privatised (sold). 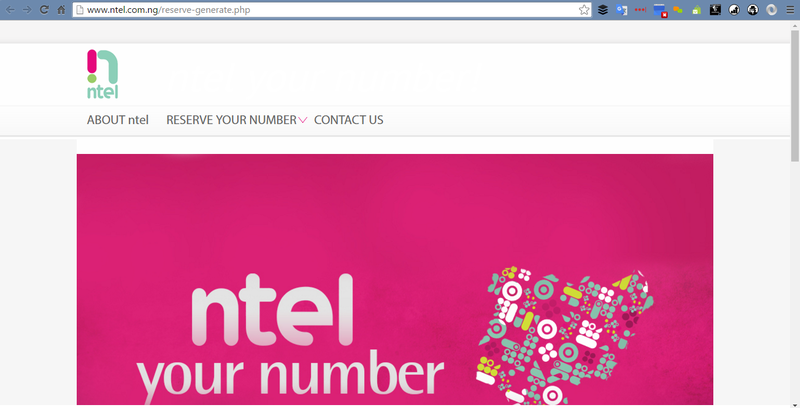 The new company is NatCom and their brand name is ntel. But did you know that they've done setting up and are now allowing people reserve phone lines? Well, I will be showing you in today's post how to reserve a 0804 ntel phone line. 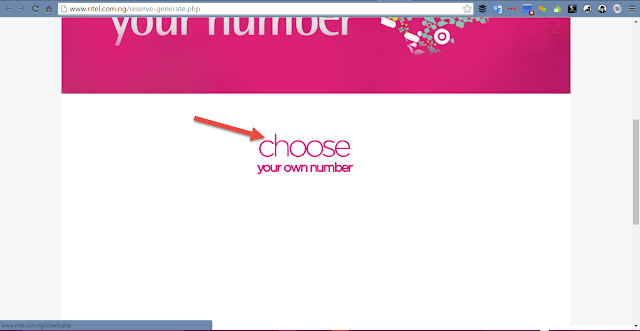 Scroll down to "choose your own number" and click on it. 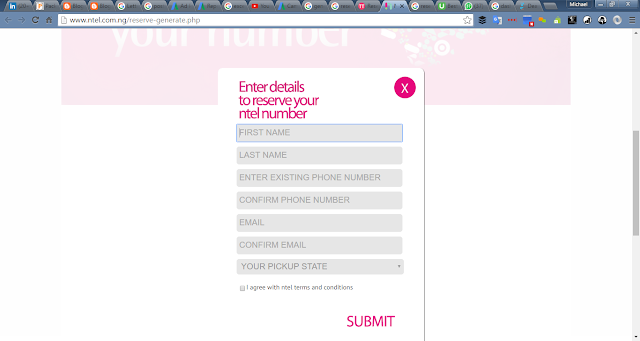 You'll be taken to a form requesting your details. Fill it and submit. Next, you'll be taken to the reservation page where you specify the number to reserve. 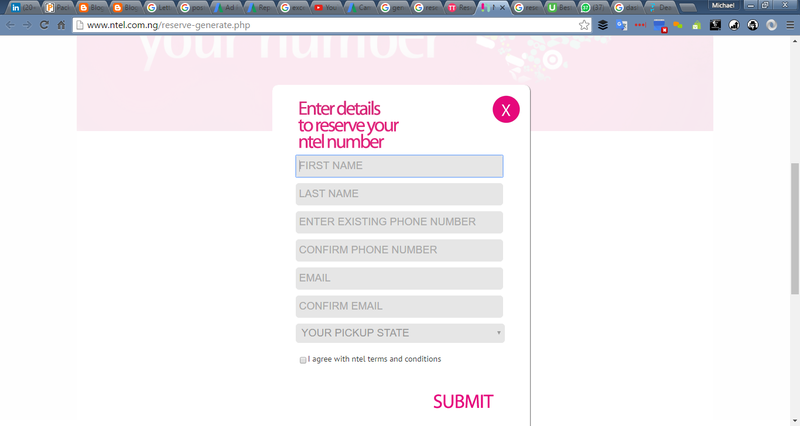 Once you've picked a number that is available and reserved it, you'll get a success notification and an email. And that's all! Soon/someday you will be contacted on how to pick your SIM.